Preheat the oven to 425°F. 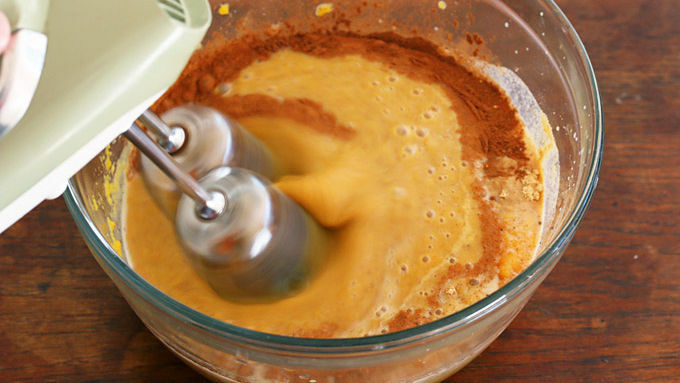 Place the pumpkin puree, sweetened condensed milk, eggs, vanilla extract, cinnamon, ginger, cloves, nutmeg, and salt into a large mixing bowl. Beat the mixture until thoroughly combined. 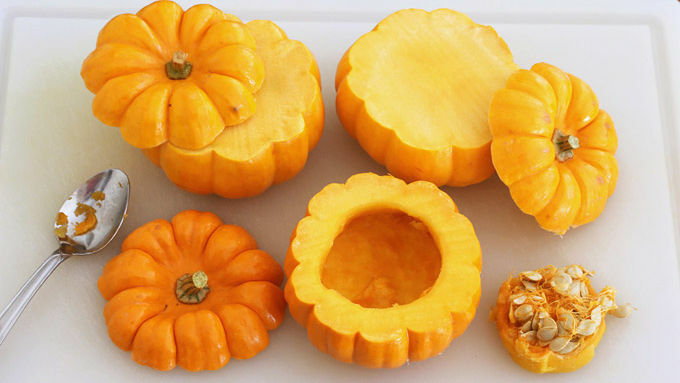 Cut off the tops of the mini pumpkins and use a spoon to hollow out the interior. Leave at least 1/4-inch of pumpkin flesh around the perimeter. 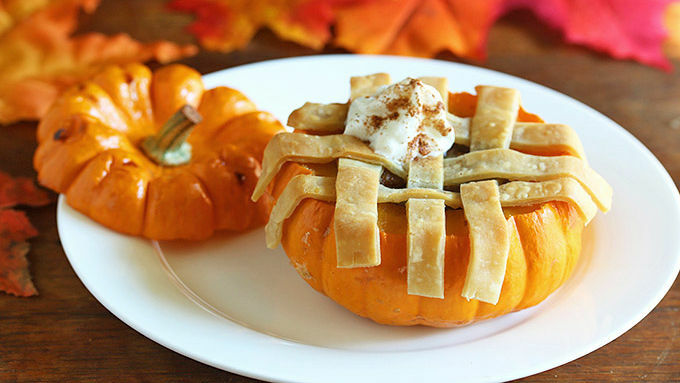 Fill each pumpkin cavity with pumpkin pie filling, making sure to fill it all the way to the top. 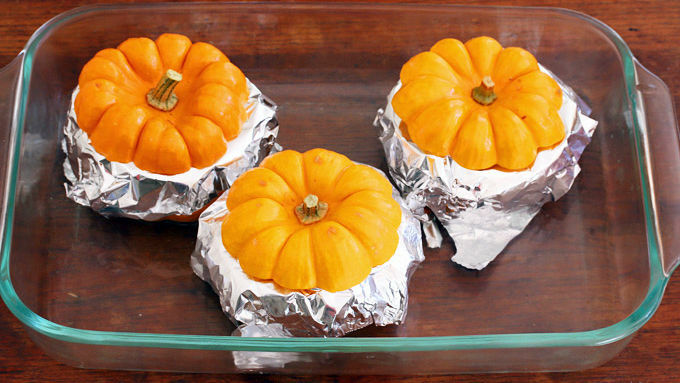 Wrap some aluminum foil over the pumpkins and place the pumpkin lids on top. Bake for 35 minutes. Then remove the pumpkin lids and set aside so they don’t over bake. Remove the pumpkins from the oven, remove the foil, and reduce the heat to 400°F. 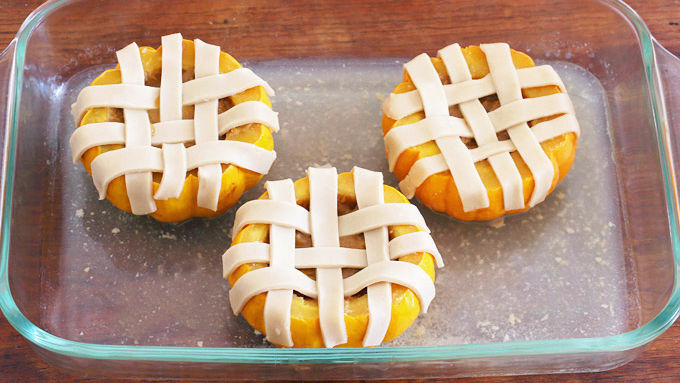 Let the pumpkins cool for 5 minutes before putting the lattice pie crust on top, otherwise the dough will melt. 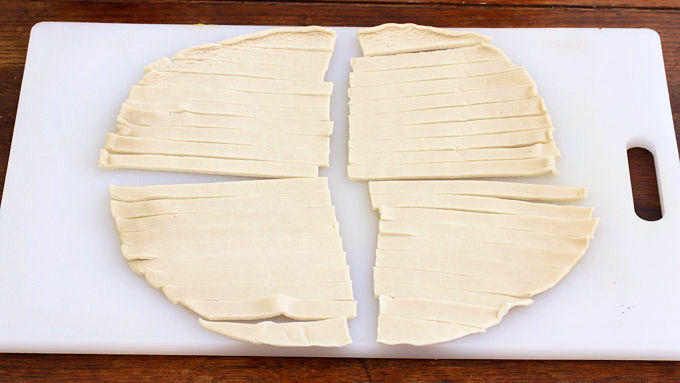 To make the lattice, unroll the Pillsbury pie crust and cut it into quarters. Then slice each quarter into thin strips. 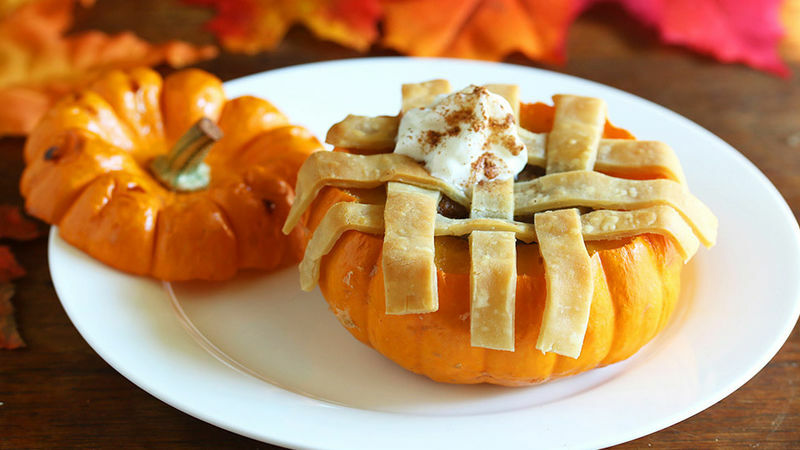 Make a lattice top on each pumpkin. Return the pumpkins to the oven (without the lids) and bake for another 20-25 minutes until the pie crust is golden brown. Let cool for 20 minutes before serving. Serve with whipped cream or ice cream. 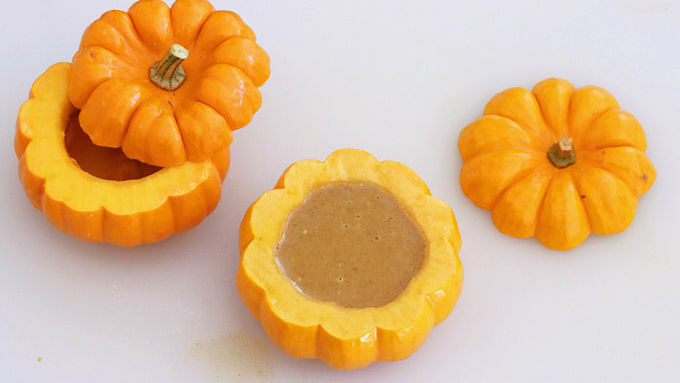 Mini pumpkins are a cute and fun way to serve up this classic dessert. I love Autumn. The colorful leaves, the foggy mornings, the cool mist that settles on the ground at night. Everything about it creates the perfect atmosphere for baking in the kitchen and filling your home with the warm, sweet and spicy aromas of the holidays. Another thing I love about Autumn is the bounty of colorful squash. All different colors, shapes and sizes, squash is a vegetable that's not only beautiful, healthy and delicious, but it's also nostalgic. What images and memories does the word "pumpkin" bring to your mind? It means lots of fun childhood memories for me and a home filled with the smell or all kinds of delicious pumpkin baked goods. And of course there's nothing that spells Autumn baking better than a homemade pumpkin pie. Here's an original twist on traditional pumpkin pie: Your favorite pumpkin pie filling baked inside of a mini pumpkin and topped with a wonderfully flaky lattice pie crust. They're not only delicious, they're beyond adorable! Serve these to your guests and watch their eyes light up with delight as their very own mini pumpkin lattice pie is placed in front of them.